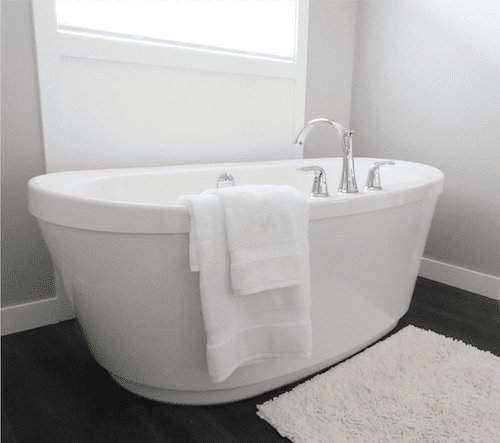 Bathroom Minimalism 101: How I went from more…to less! Have you ever took an inventory of the stuff in your bathroom? When I think about downsizing from my 650 SF apartment into my 576 SF microMansion, I’m starting to not only think about storage differently, but about the products that I purchase. I’m more and more interested in quality over quantity. I’m whittling away my closet to keep only those clothes that I truly wear regularly because they fit right and are comfortable. I’m reducing the items in the kitchen that have a lot of preservatives and can sit on the shelf for a year! I’m starting to surround myself with products that only add value to me and to my body, keeping the “wants” and “nice-to-haves” at a minimum, not because I can’t afford them, but because they aren’t moving the needle. 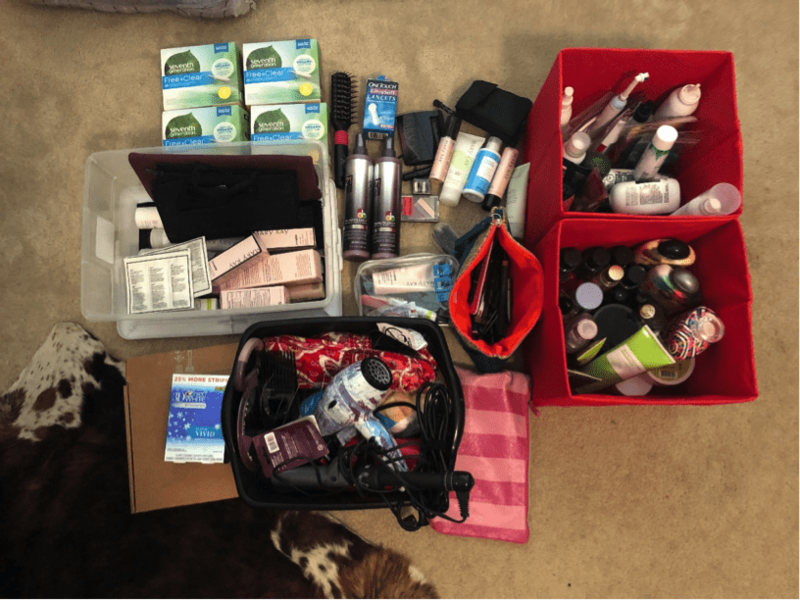 As I began my journey of minimalizing my bathroom items, my approach was to take everything out of the shelves in my bathroom and put on the floor of my living room. It was amazing how big of a pile this made! Who knew you could cram so many things into one cabinet and a few shelves. I quickly realized that I was going to have a harder time with this than I anticipated. I found some difficulty in letting go of items that were barely used. What bothered me, even more, was that I paid money for all of these things and then barely used them! Would I use them at some point? Should I keep them just in case?? My whole outcome for this project was to rid myself of things I didn’t use anymore. I couldn’t hold on to things that I hadn’t touched in the last year just because I was afraid I might use it one time in the next year. I decided to make a few piles to help me sort through what I had. Sell/Donate pile: Items that were mostly full that could be sold or go to Goodwill, Salvation Army or similar. Keep pile: Only items that I currently use, regularly. As I sifted through the pile, I picked up each item and asked myself, “Have I used this in the last 6 months?” If not, I then decided if it was in good enough condition to be donated or sold, or if I should just throw it out. I ended up with a fairly large sell/donate pile and proceeded to post my items for sale on Facebook marketplace in my area. I was able to sell some perfumes and hair products, but the rest I was able to donate. 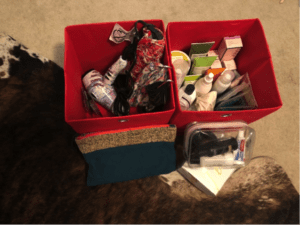 It takes a little bit of time upfront to post items for sale, but on average I’ve been able to make at least $100 off of things that I didn’t need, but someone else did! As you look at the picture below, you might think I still have more stuff than I need and you’d be right. There are still a few items in the photo that I held onto and will now be finding a new home for. Ask yourself: Have I used this in the last 6 months? Identify items that are in good enough condition to sell or give away. Make some money! Organize your keep items and return them to their place. It’s helpful to also keep the piles you are getting rid of in a box somewhere in your home. You can open it if you find you need them. After a week or so, just take the box and get rid of it. Follow our page for more tips on minimalizing your home and simplifying your life!